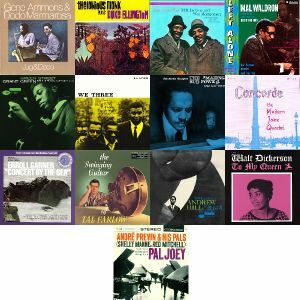 Dodo Marmarosa, Thelonious Monk, Milt Jackson & Wes Montgomery, Mal Waldron Trio, Grant Green and more. Smooth Jazz has a bad connotation for many people, and rightfully so. This compilation of classic jazz tracks from the 1950s and 60s features a variety of sounds, formats, and styles; however, none of these tracks contain brass or woodwind instruments. But please don&apos;t diminish these artists by classifying these tracks as Smooth Jazz or Cocktail Jazz, these are phenomenal artists making great music. Think of this compilation as your After Hour Special. Thank you for your support and encouragement, Mr. Lob. I really enjoyed your selections and the feeling you created with these tracks!